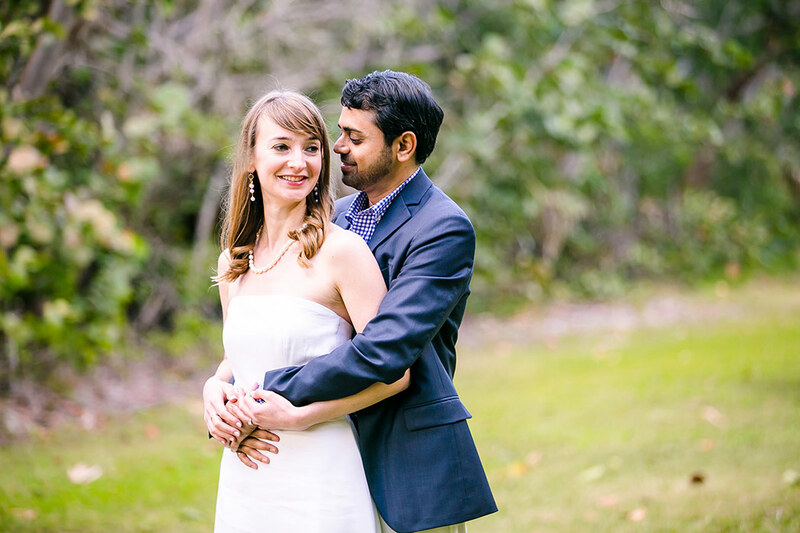 I love photographing Indian weddings in South Florida. It’s one of my absolute passions. Having been to India a couple of times both volunteering and also as a tourist, I have a penchant for its colors, smells, design, and culture. This is one of the many reasons I jump at the chance at photographing Indian weddings. 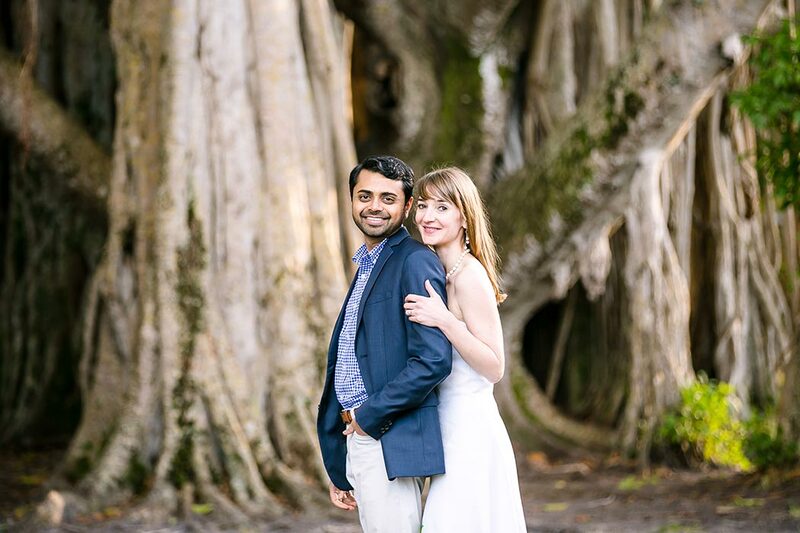 So when I was contacted by Georgette from Pea To Tree Events to photograph Elizabeth + Jinal’s wedding later this year, she didn’t have to ask me twice. 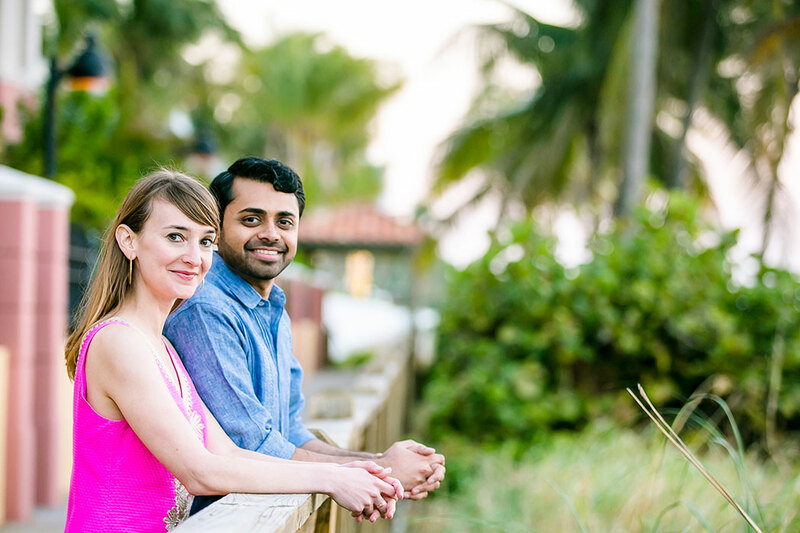 I met Elizabeth + Jinal in December to photograph their Fort Lauderdale engagement photoshoot. 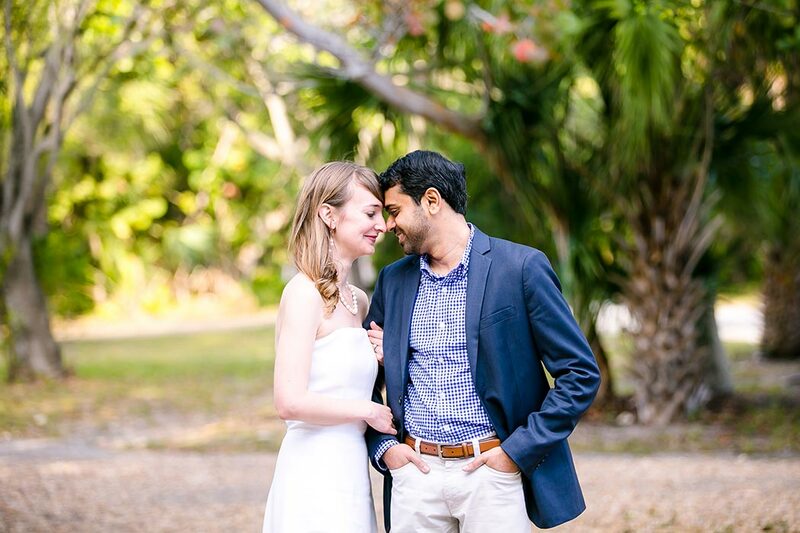 The couple went to the same business school but didn’t officially meet until after they graduated and were living in San Francisco – they met at a Bollywood concert! 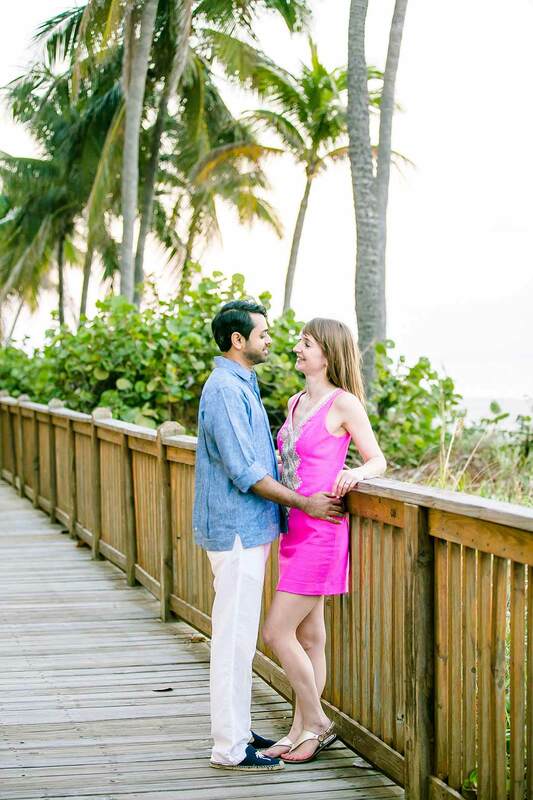 They have been dating since 2017, and Jinal popped the question one year later. 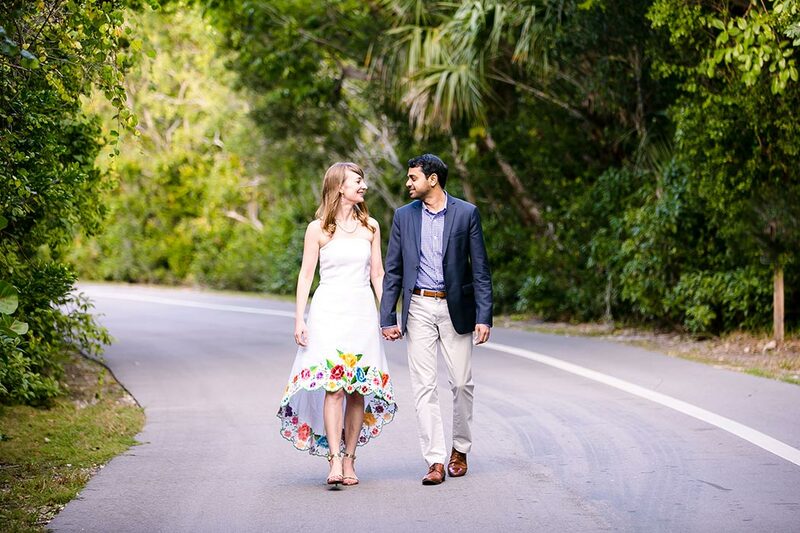 When we were brainstorming ideas for the engagement photoshoot, Elizabeth mentioned they both wanted to incorporate nature, but also wanted some pictures on the beach to capture that ‘south Floridian style’. 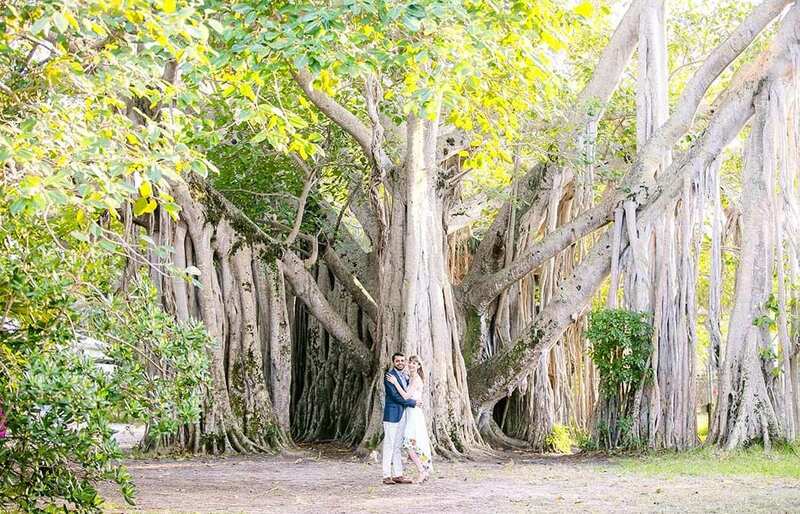 Hugh Taylor Birch State Park in Fort Lauderdale was the natural choice with its gorgeous backdrops and oasis of tropical hammocks. 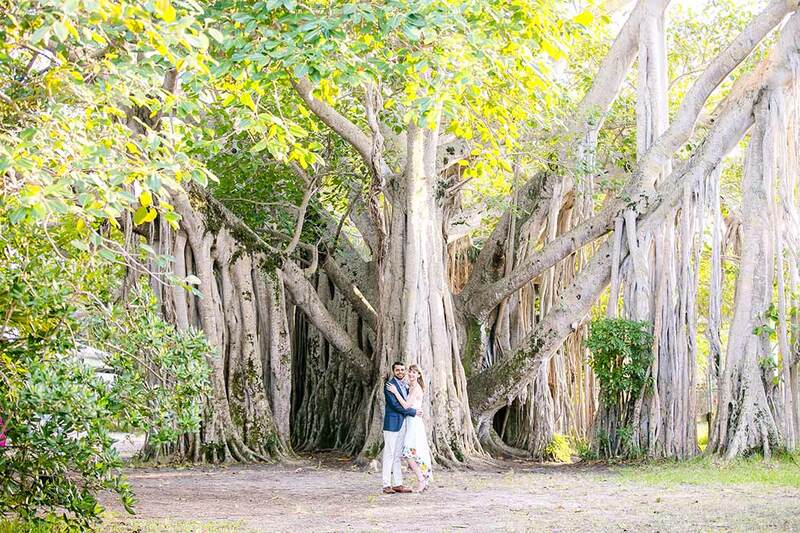 It’s only a few steps from Fort Lauderdale Beach so we locked this location in. It was obvious having met them both even for the first time that they were a natural fit together. 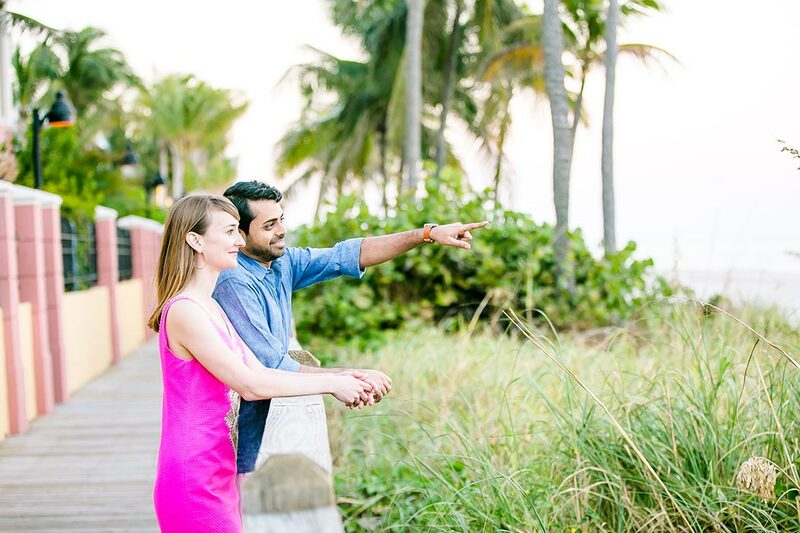 It was one of the easiest Fort Lauderdale engagement photography sessions I’ve done to date! what 3 things do you love about your partner? – Elizabeth is my rock. She knows how I feel before I do! – Her warmth, empathy and strength are inspiring. She makes me a better person. – I love the way she fills everyone around her with happiness. She makes me happy! – Jinal makes everything look easy. He brings his full self to personal relationships as well as his careers, and does so with such grace. – He is so cozy! I love curling up with him and spending quality time together. – He brings a bright energy to everything he does. His smile and laugh are infectious – it’s no wonder everyone wants to be around him. 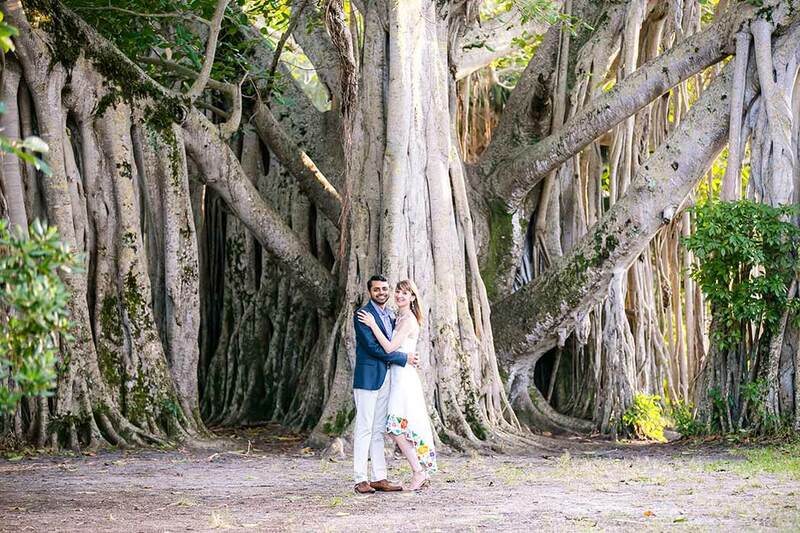 Elizabeth + Jinal – you were amazing to work with and I can’t wait to photograph your Indian wedding later this year! 1. Elizabeth is my rock. She knows how I feel before I do! 2. Her warmth, empathy and strength are inspiring. She makes me a better person. 3. I love the way she fills everyone around her with happiness. She makes me happy! 1. Jinal makes everything look easy. He brings his full self to personal relationships as well as his careers, and does so with such grace. 2. He is so cozy! I love curling up with him and spending quality time together. 3. He brings a bright energy to everything he does. His smile and laugh are infectious – it’s no wonder everyone wants to be around him.